This is a must read for media watchers. Media bite explores the treatment of the attack on Gaza in light of the voice allowed to victims by social media. The article while tracing changes in coverage due to social media and other issues reminds us of how the social weight of mainstream media framing continues to wield immense power. RTÉ’s claim that it did not ‘misinterpret or misrepresent’ the views of a woman featured in footage from Gaza is as deceitful as the original report. 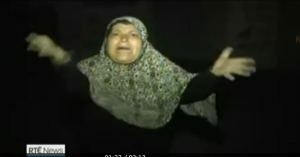 The footage of the woman appearing onscreen is prefaced by images of a building exploding as a consequence of a missile strike. There is no indication given as to who launched the missile. The voiceover says “even as international pressure increases, the war continued unabated from both sides”. An uninformed viewer could easily interpret the explosion as caused by a missile launched by either Israeli or Palestinian forces, given the statement of “unabated war from both sides”. In fact, Palestinian forces have used no weapons capable of causing such destruction. 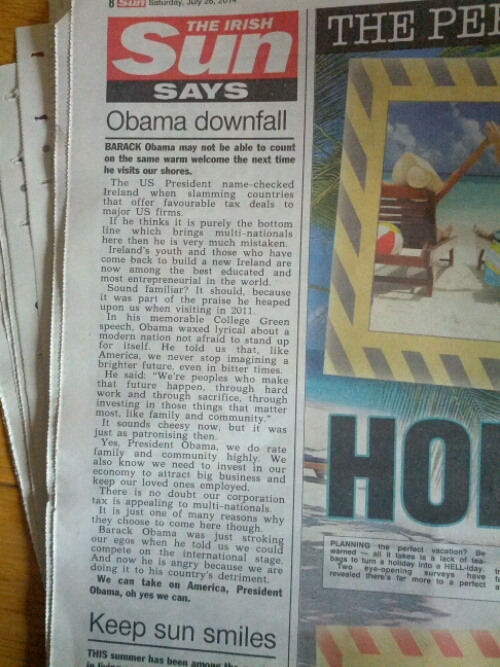 The Oirish Sun criticises US policy – and no it’s not on US policy on Israel, it’s Obama’s mention of Ireland’s role in international tax evasion. The Sun finishes with that British (sorry Oirish) bulldog spirit, ‘we can take on America, President Obama, yes we can’, tally ho. The Irish business media have not been known for their critical thought nor for their hard questioning of economic actors; on the contrary theirs is a history of sycophantry, poor reporting and little or no fact checking. ‘Entrepreneurial’ and ‘innovative’ businesses and business ‘leaders’ such as Anglo Irish Bank and various property speculators were unquestioned and lauded as paragons of a new dynamic Ireland. Since the crisis one might have reasonably expected a more thoughtful form of business reporting, more reflective, less obsequious and maybe even slightly critical. Alas, the journalistic model of forelock tugging, arse licking is still with us. Friday’s Irish Times included a long interview with Michael Buckley, Executive Director of Greyhound Waste. Greyhound is in the news as they are currently locking out their workforce, demanding that they take a 35% pay cut. Elements of the media, true to form, are uncritically reporting statements from the company with little evidence of fact-checking and displaying all the usual fawning reserved for business leaders. Friday’s 2,500 word interview includes no counter statements from SIPTU (the union involved) and takes Buckley’s word on every aspect. Buckley himself is described as ‘conveying enthusiasm’ for what he does and his statement that the private sector is doing a ‘good job with domestic waste collection’ is unchallenged; something that would raise the eyebrows of any of Greyhound’s long suffering customers. The term lockout is not used, rather it is stated that workers refused a ‘proposal’ that has led them to being ‘replaced, for the time being anyhow’ by agency and contract workers. None of the locked out workers are given space for comment. Buckley, again uncritically, is given space to show his ‘sympathy’ to the workers, but goes on to say a pay cut is better than nothing, and again the workers’ point of view is not given. The article then goes into some sycophantic reminiscence of how Buckley’s parents used to run a waste operation, which he describes as a ‘hump and dump’ business which was collecting waste and ‘dumping in unlicensed landfills’. The Irish Times seems to have no issue with this and for this matter they do not mention the numerous environmental indictments that the current Greyhound operation has been involved in; neither does the article think to mention the fact that Greyhound is based in the Isle of Man for tax avoidance purposes. For the Irish Times, the Isle of Man ‘model’ is simply an innocent act of accounting. The collection of rubbish had been seen for decades as a service and not an income stream for business. The workers were well paid and had attractive working conditions. Indeed, for 150 years Dublin City Council ran what seemed to be a relatively well run waste service that was free to citizens at the point of use. The privatisation of the service is a good example of what David Harvey calls accumulation by dispossession, a feature of late capitalism that sees a rentier class taking over already existing services and charging for them, often supplying a far less quality service, costing more and paying their staff less. In the case of Greyhound, tax avoidance can also be added to the list. This process began over a decade ago by the commodification of the waste service which would pave the way for later privatisation; in an ironic and Orwellian twist the Labour Party has taken to blaming the opposition movement to the commodification and privatisation of waste and other services for the current mess. Throughout the article the process of the labour dispute is described solely from Buckley’s point of view without a single quote from a trade union source. Buckley is allowed to make an accusation of racism against workers, whom he claimed opposed a scab operator because that man was a foreign national. 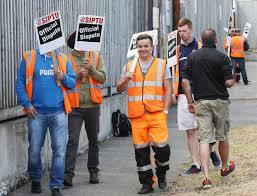 This allegation is not challenged, nor are workers or trade union representatives allowed to answer the accusation. Greyhound’s unpopularity with its long suffering customers is put down to ‘communication problems’ or Greyhound not being versed in public relations, nothing to do with its extremely poor service or its opportunistic charging for the collection of Green waste which had been free up to privatisation as an obvious and sensible environmental incentive. The most incredible piece of writing is that the private waste companies represent an ‘entrepreneurial, innovative sector’ – how is this so? By taking over an already existing, well-run service and operating it in a haphazard and amateurish manner? By doing down the pay and conditions of its staff? By its numerous notices of repeat non-compliance by the Environmental Protection Agency or by their not-so-innovative use of the Isle of Man to escape financial regulation? A simple internet trawl would uncover actual innovative waste management practices across Europe that go beyond shipping waste overseas for landfill and incineration in even less-regulated parts of the world. The Irish Times might argue that this was an interview and that the opinion of the workers and their representatives can be found elsewhere, but this is not entirely true. While the Irish Times does have a much shorter article (500 words) in which a union representative is given some space to counter Buckley’s accusations, where is the 2,500 word soft focus interview of a shop steward conducted in the middle of a strike? Where are the articles describing the shop steward’s childhood and his or her vision for the future? Where is the article with interesting quotes from a striking worker and his fascinating outside interests and hobbies? Where is the article that takes the position of a shop steward without question, challenge and that doesn’t put forward the company’s view for balance? For that matter where is the ‘union’ section of the newspaper, to balance the ‘business’ section, which let’s face it should be really named the ‘elite interests section’. 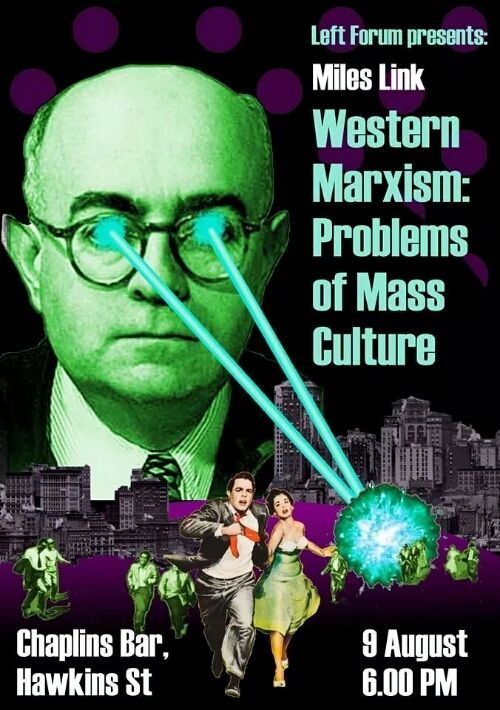 Or here’s a crazy thought, why not include an economics section that includes journalists that can see beyond the interests of a single élite class and past recycled neo-liberal clichés; a section that may even question failed economic policies such as the botched privatisation policy that has left our waste services in such a shambolic state.